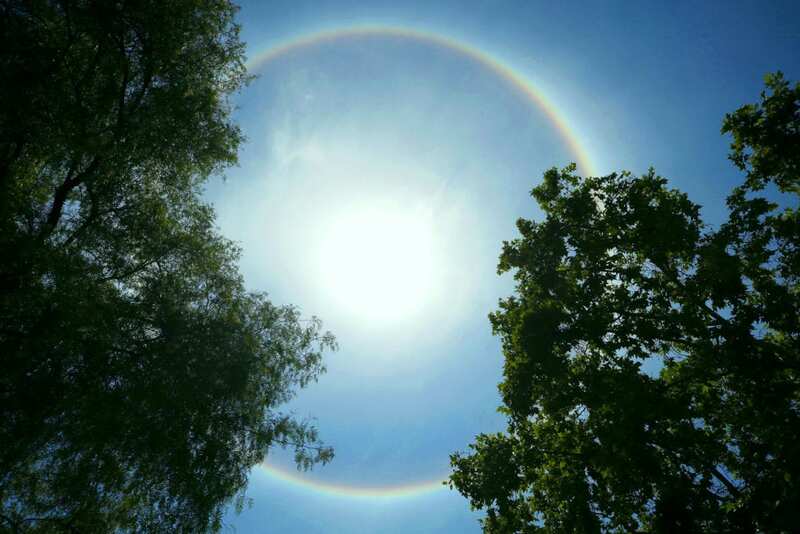 A circular rainbow is seen in Santiago, Chile on 18 December 2017. Photo: Mario Ruiz/CNS. “Heaven is not an eternally dull existence but rather the completion of a journey toward a promised encounter with the Lord,” Pope Francis said in his Homily on 27 April. Although Christians may know that their goal is to go to heaven, “we begin to slip” when asked: “What is heaven?” the Pope said during Mass at Domus Sanctae Marthae last week. “Many times, we think of an abstract heaven, a faraway heaven, a heaven that we say ‘yes, it’s fine’. But some may think: ‘Isn’t it a little boring being there for all eternity?’ No, that is not heaven,” he said. Pope Francis’ homily focused on the day’s first reading from the Acts of the Apostle, in which St Paul proclaims “that what God promised our fathers he has brought to fulfilment” through Jesus’ resurrection. Trusting God to fulfil his promises, he said, puts Christians on a path “toward an encounter, the definitive encounter with Jesus. Heaven is the encounter with Jesus”. Pope Francis added that during this journey, Jesus “isn’t sitting there waiting for me but, as the Gospel says, he works for us. He himself said, ‘Have faith in me’ and ‘I will prepare a place for you'”. Jesus prays for all who embark on this path toward heaven. However, the Pope said, Christians must continue to remind themselves that “he is faithful” and that he will fulfil his promise. “May the Lord give us this awareness of being on a journey with this promise. May the Lord give us this grace: to look up and think: ‘The Lord is praying for me’,” Pope Francis concluded.